AuthMetrik helps companies increase revenue by stopping unauthorized sharing of online accounts. Currently, just by sharing passwords, multiple people can gain access to a company's premium account without paying for it. This is a direct revenue loss for the company. 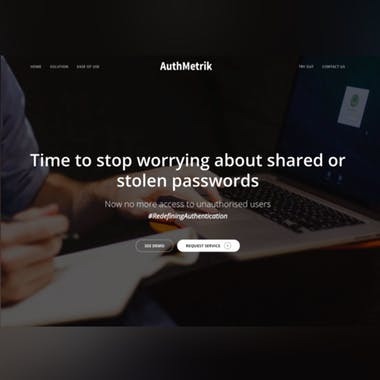 AuthMetrik uses Keystroke Dynamics(typing rhythm of a user) and Machine Learning to identify and restrict access of an account only to the person who registered for it.